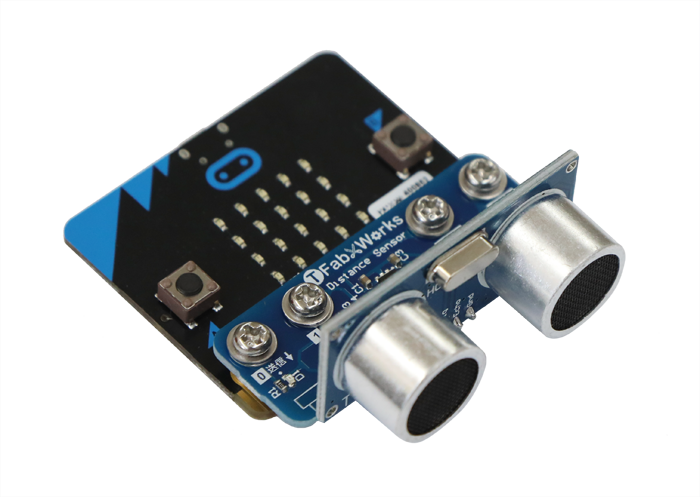 micro:bit one-touch sonar is the ultrasonic sonar, and detachable in one operation easily. "When someone approaches a micro: bit, it notifies another micro:bit" can be realized easily. 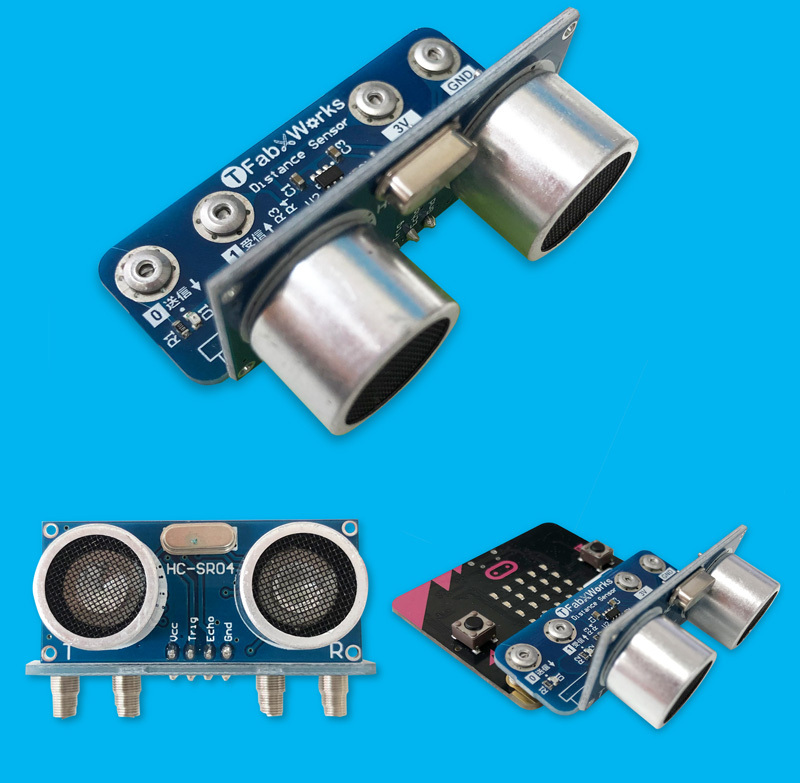 As of August 2018, some errors present in sonar package, which are caused by micro:bit. We prepared for a sample program using the modified pxt-uds package(https://github.com/mbitfun/pxt-uds). Program to measure the distance between TFW-DS1 and an object.